Click on the graph below to enlarge the image. 66% of students qualify for the Free/Reduced Lunch Program. In the first week of their START on Time! 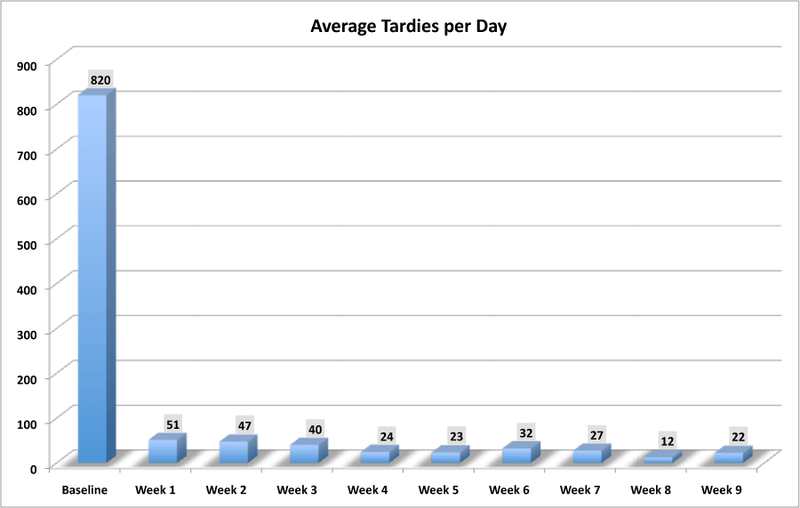 implementation, staff and students at South Park High School reduced tardies by 94 percent! They continue to sustain this low rate.